Memory care is a special type of elder care tailored to the unique requirements of senior citizens suffering from advancing dementia and progressive Alzheimer’s disease. A skilled nursing home facility should offer individualized care. That is a big plus. The individualized care given to patients with Alzheimer’s and dementia provides help with bathing, grooming, and other daily tasks. Secured areas on the premises also allows for safe movement. Moreover, targeted therapies and activities help keep residents engaged and active. At what level is your loved one’s cognitive impairment? What level of supervision do they require? Is your loved aggressive or disruptive? How much assistance does your loved one need with activities of daily living? Are there any other medical issues such as diabetes, dialysis, or colostomy bags? Are they ambulatory, or confined to a wheel chair, or bedridden? Would your loved one be happiest in a community that groups residents by cognitive level? Memory Care: Are You Comfortable? Placed a loved one into a skilled nursing facility is not an easy decision. Of course, you have questions and concerns. Is the nursing staff not only skilled but also compassionate? What are the AM and PM staffing ratios? How individualized are the individually tailored programs? How long has the nursing staff worked at this facility? Is there a high turnover? Are there physicians on staff? Are there occupational and physical therapists on staff? What about communication with the family. Do you call us at regular intervals, or, do we have to run after you for updates? How often are personal meetings with the family scheduled? What is your policy for handling a medical emergency? Is the facility secure and attractive? 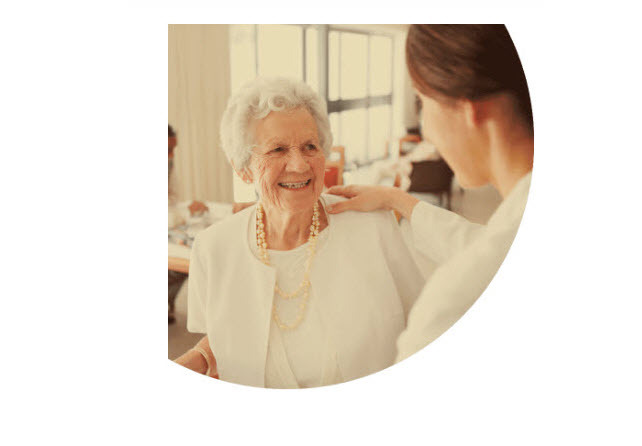 The Putnam Ridge and Rehabilitation Center in Putnam, New York provides a superb level of skilled and compassionate nursing care for patients suffering from dementia and Alzheimer’s disease. We are the largest private skilled nursing home facility in Dutchess County, New York. As a privately owned 160 bed facility, Putnam Ridge is large enough to cover every aspect of patient care, but small enough to give a personal touch to your loved one. Putnam Ridge provides many amenities such as a beauty parlor, religious services, and restaurant-style dining. A manicured courtyard with gazebo, trees, and grass offer a relaxing, clean air outdoors environment. Therapies include physical and occupational therapy, speech pathology, as well as sensory, music and pet therapies. Your loved one stays active and engaged with recreation activities and special events.